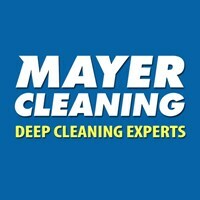 Mayer Oven and Carpet Cleaning - Cleaning Services based in Woking, Surrey. Mayer Oven and Carpet Cleaning are an easy choice when it comes to a premium service from a company you can trust. We have been established since 2009 and in that time have cleaned all and every type of oven and carpet, with all levels of cleanliness. All you have to do is get in touch, or better yet, get booked in on our website for an online discount. We cover most of Surrey, Hampshire, and West London so wherever you live you can easily book us in to deal with your cleaning needs. We have proudly earned the reputation as a company that is polite, on time, friendly and provides the best oven cleaning service we possibly can. Not the cheapest, but we believe we’re the best! You're left with deodorised, clean, fresh carpet, dry by the time we say good bye thanks to our turbo driers.